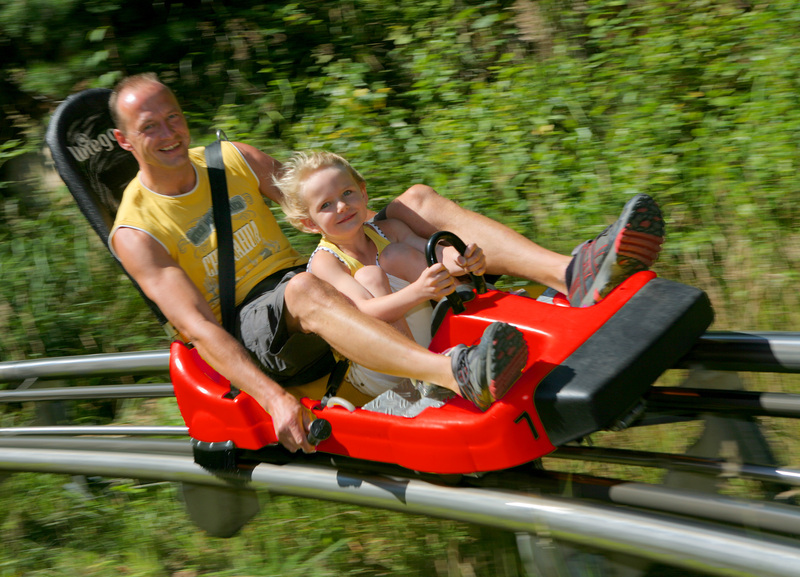 Home / Things to Do / Kids & Family / Gatlinburg Mountain Coaster – It’s a (Quiet) Blast! 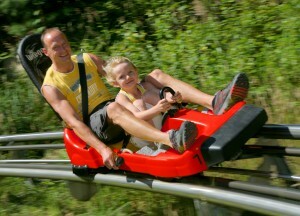 Take a silent, fun coaster ride down the mountain, by day or by night! 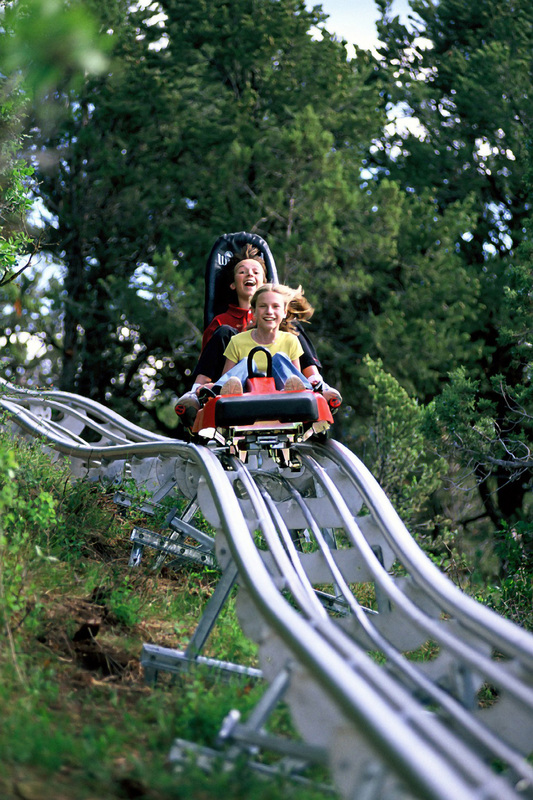 Take a silent cruise through the Smoky Mountains on the Gatlinburg Mountain Coaster. 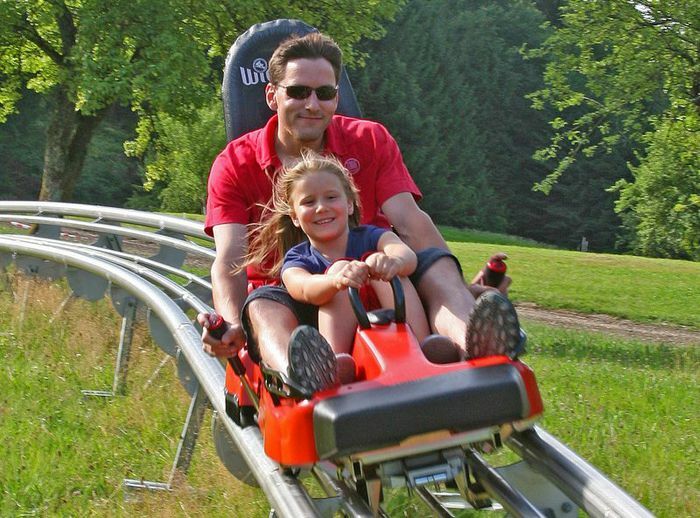 It’s a fun and inexpensive way for you and your family to experience the sights and sounds of the mountains, in a single or double coaster car, with individual brake handles to control your speed and enjoy the scenery at your own pace. The track is three-quarters of a mile long, and winds and curves down the side of the mountain on a specially created silent track. The track’s built-in control system allows speeds up to 35 mph, and the cars are completely safe at top speed. You can dampen the speed to suit yourself, or you can let fly and just run down the hill. It feels fast, and it’s a smooth ride in great scenery, with plenty of curves to take in the view. Ample parking at the base station on Parkway means you can drop in and take the lift up to the top, and experience the 7-minute ride down. It’s a fun ride, not at all like a roller coaster, and built for easy pleasure rather than for thrills. It’s guaranteed to lift your spirits and put a laugh in the air. The Mountain Coaster runs all day until quite late at night, so an evening trip is an excellent idea. Gatlinburg sparkles at night, and so does the coaster track as hundreds of night-time lights illuminate the track. Things can get magical – couples love the romance of it – and night time is a perfect way for family and friends to put a lively start to the evening fun or crown an exciting day. 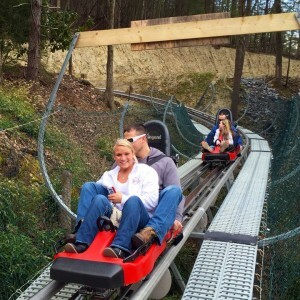 Gatlinburg Mountains Coaster is open year-round in all weathers (subject to extreme conditions and safety concerns of course). You can ride it in the rain (which is fun) and even in the snow – the Smoky Mountains looks fantastic in every season. 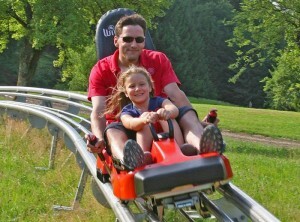 Bring a camera by all means, but don’t drop it from the coaster car because there’s no turning back! It may be time to invest in a GoPro camera to record the whole ride. Also, the super friendly Coaster crew provide photography on-site for selfies, and pictures are affordable, so you can take extras. 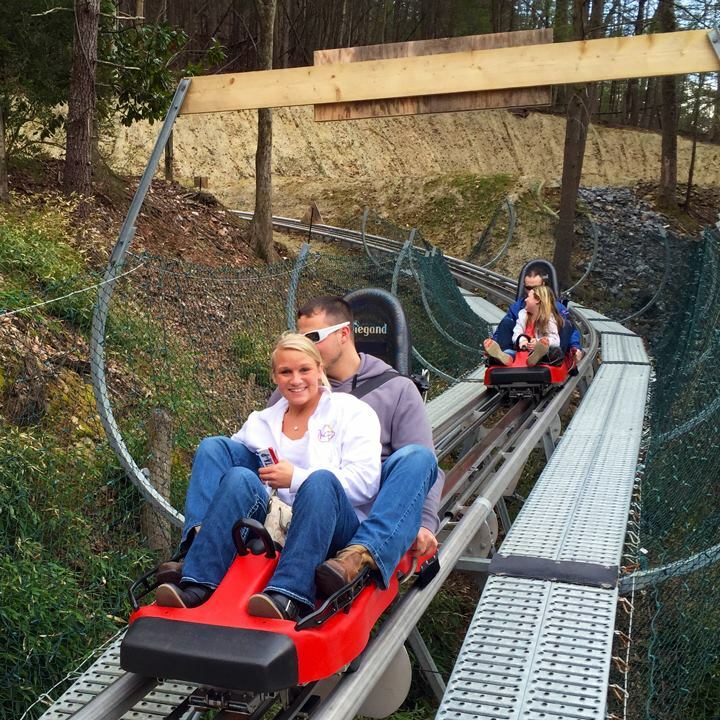 If you’re in Gatlinburg, the Mountain Coaster is a ride you want to take. Nothing is required of you, but age and height restrictions do apply, so check before you go.